Our gourmet body scrub, with grains of coffee beans and cocoa, plus natural oils, working to exfoliate your skin gently without drying it out. Coconut oil smoothes and moisturises, while avocado oil provides an extra dose of moisture and helps your cells regenerate. 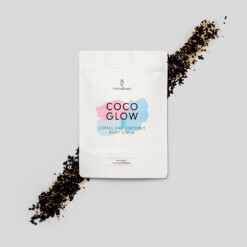 Coffee bean and cocoa powder: natural exfoliating particles. 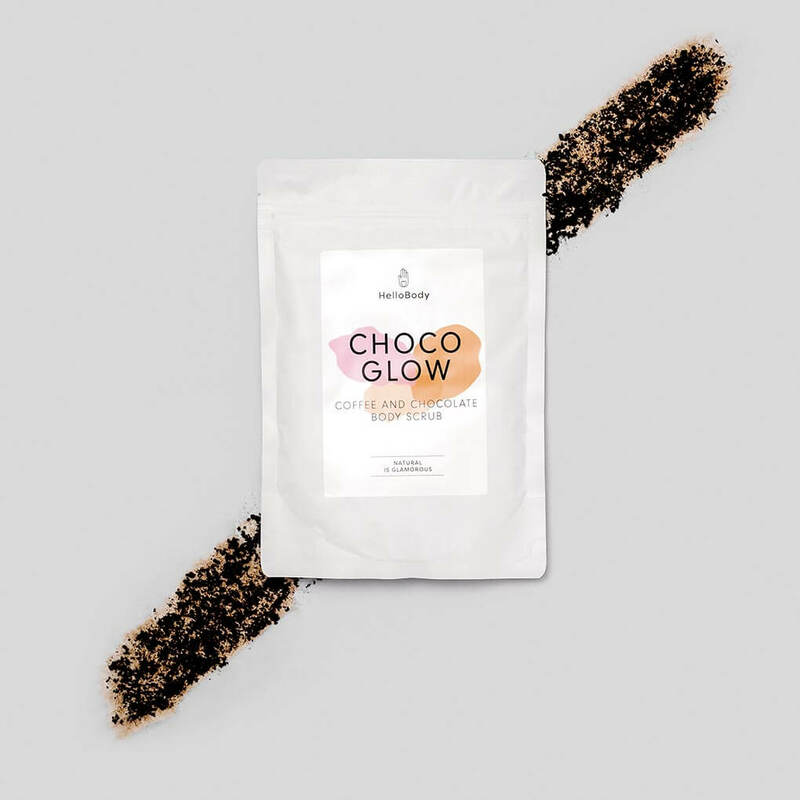 Once or twice a week, use our CHOCO GLOW in the shower or in your bath. Apply the scrub on the areas of your body that you want to exfoliate, and massage your skin in circular motions. Let it work for a few minutes, rinse, then use your usual shower gel. To exfoliate your face, we recommend using our COCO PURE face scrub, specially designed for this area, which is more sensitive than the rest of the body. In winter, nothing is more pleasant than taking time for yourself, and cocooning your skin. Exfoliate your skin in the shower with the CHOCO GLOW to gently remove dead skin, and enjoy the smell of coffee and chocolate. After the shower, continue this gourmet ritual with our COZY WINTER nourishing body cream, bringing you deep hydration while immersing you in the spirit of Christmas, thanks to its sparkling texture and sweet scent of cinnamon and almond.